Wills & Estate Lawyers | Shelby, NC | Horn, Pack, Brown, & Dow, P.A. Preparing legally for end of life issues is perhaps one of the greatest gifts you can ever give your family. Our attorneys know firsthand how important it is for your wishes, both financial and medical, to be clearly established. Our attorneys can assist you in drafting wills and health care directives to ensure your end-of-life decisions are implemented. Many people choose not to approach these issues until later in life. However, all parents should make their wishes known regarding the care and guardianship of their children. 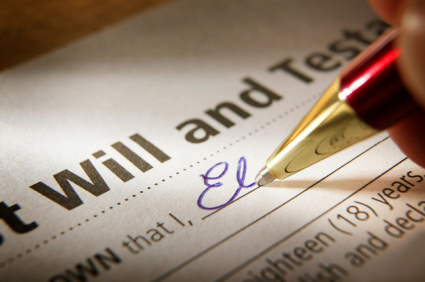 In North Carolina, if you die without a will, the state will make the decisions regarding your property, assets and children. A proper estate plan allows you to control your end-of-life decisions.